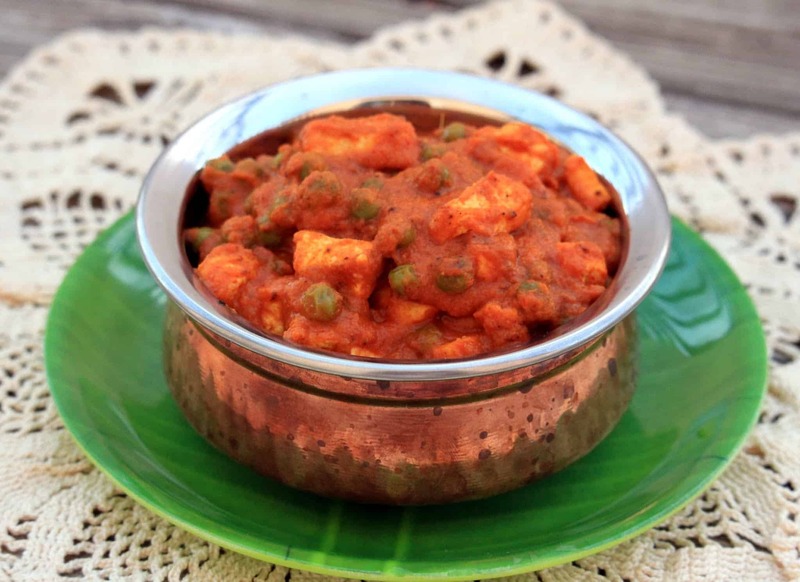 Kerala Style Peas Masala Curry, is an aromatic, rich and Vegan subzi made with fresh green peas and coconut milk. It can be served with idli, dosai, idiyappam, appam or poori. This Kerala Style Peas Masala Curry is one another recipe that I make very often, but have never got around to redoing the post and pictures. 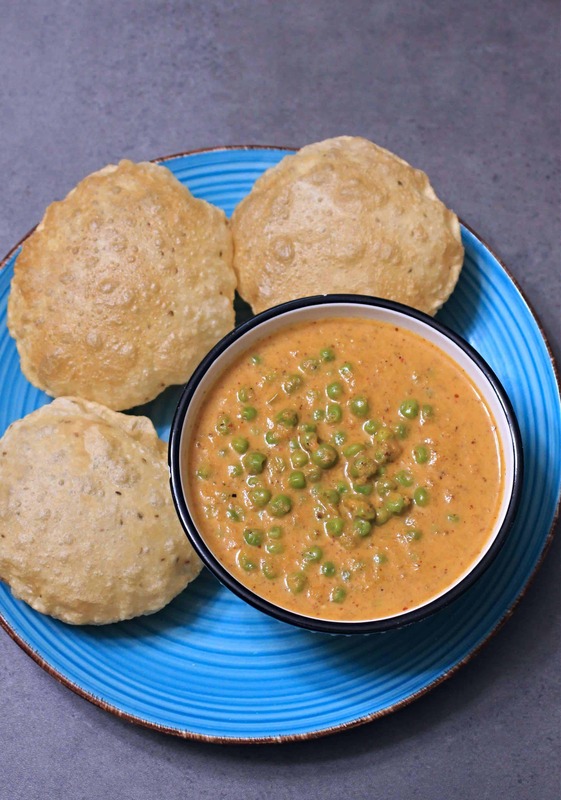 This is still the only subzi with green peas that I still love to eat. I am still not a big fan of green peas, but have gotten pretty adaptable and tolerate in the recipes. 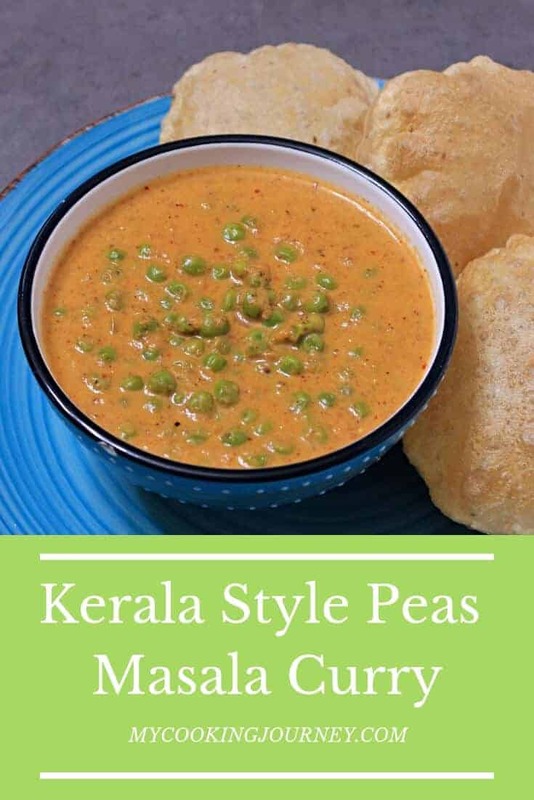 This recipe for the Kerala Style Peas Masala Curry is so flavorful and it has one of my very favorite ingredients, coconut milk in it. I love the flavor of coconut milk in kurma and curry. 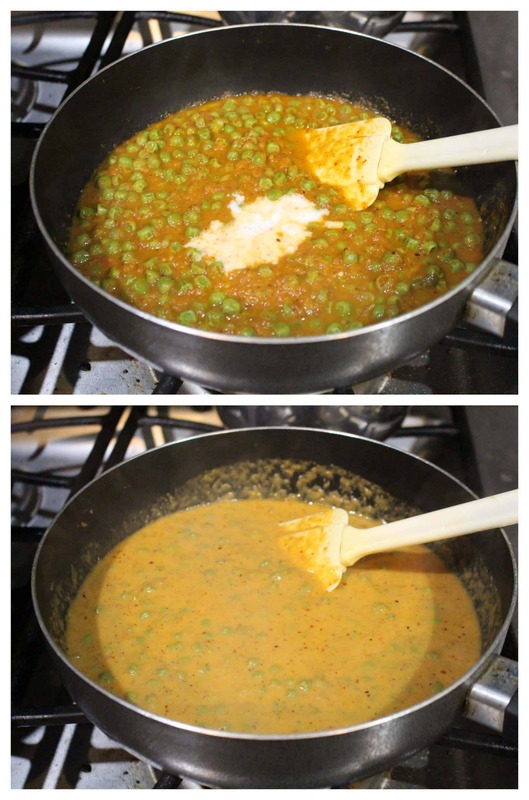 I first made this Kerala Style Peas Masala Curry in my beginning days of cooking. There are a few recipes like this from my beginning days that is a keeper recipe and I make it to this day. This recipe has been in my mind for several weeks now. I saw this recipe in a blog called ‘Edible Garden’. Never a big fan of peas (that’s the only vegetable I don’t like); I first sort of just read through the recipe and ignored it. But for some reason the recipe kept haunting me to try it. Maybe it was the pictures taken by Nags, the owner of Edible Garden, or her beautiful description. So, anyways I made this recipe and it wowed me. It was such a rich and mouth pleasing flavor, that made us keep going back to more. Nags had mentioned that this masala is usually paired with appam or puttu in Kerala. It tastes wonderful with Paratha, Poori and rice. I am sure this would be a very good accompaniment for Dosai too. 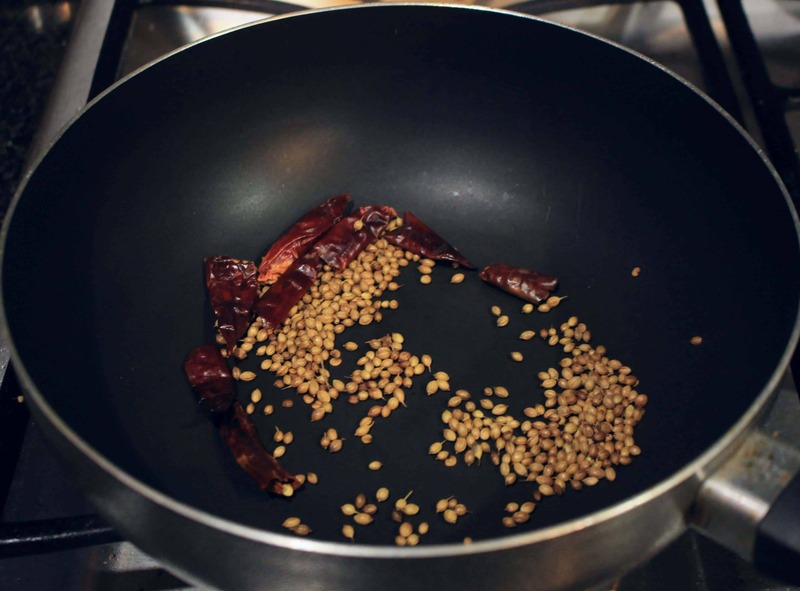 Heat a pan and roast the coriander seeds and red chilies until brown and aromatic. Let it cool down a bit and then grind it to a fine powder. In a kadai or a pan, heat about a tsp of oil and add the chopped onions. Sauté till golden brown and then add the chopped tomatoes, ginger and garlic. Fry till the tomatoes are cooked and mushy. Let it cool and then grind into a paste. Heat 2 tsp of oil in the same pan and add the ground masala paste. Let it come to a simmer and then add the red chili / coriander powder. 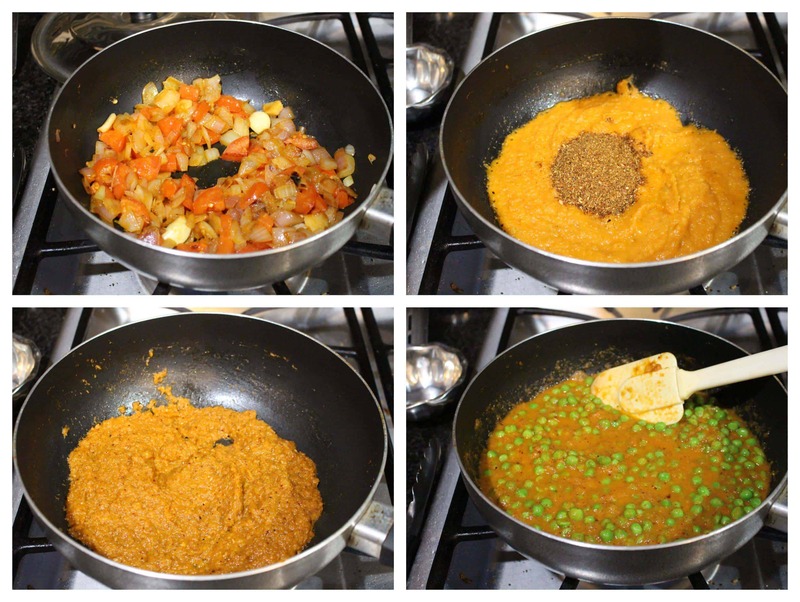 Mix well and let the masala cook until aromatic, about 5 minutes. Add the green peas, salt and about a cup of water and let the green peas cook until tender. If using fresh green peas, cook it separately and then use. 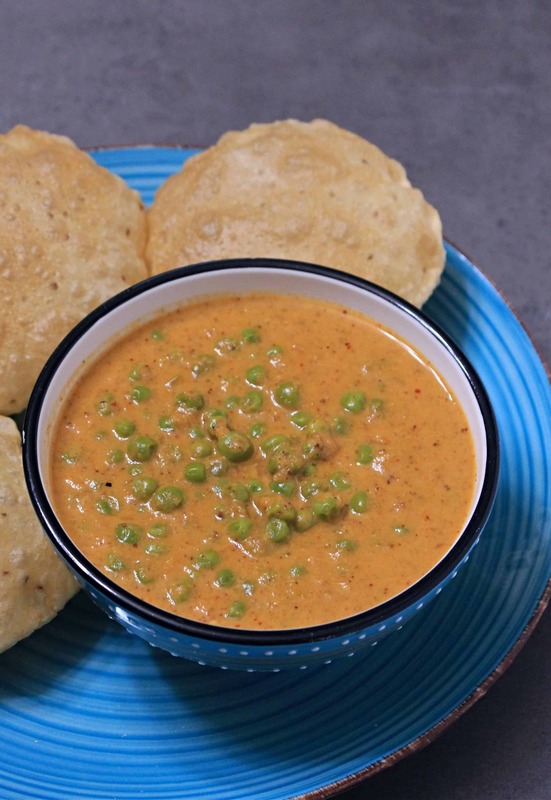 Once the green peas are cooked and soft, add the coconut milk. Once you add the coconut milk, reduce the flame to the lowest and let the curry come to gentle boil. Check for the consistency of the gravy. If too thick add little water and mix well. Kerala Style Peas Masala Curry is now ready to serve! Just love peas in anything and trust me this curry makes me hungry even after having my dinner. Fingerlicking dish definitely. Fresh spice adds so much flavour in curries. I love green peas so much and I am sure that I would love this curry. Such a simple and delicious looking Kerala style peas curry, Do you think we can other veggies to it – just to make it more substantial. 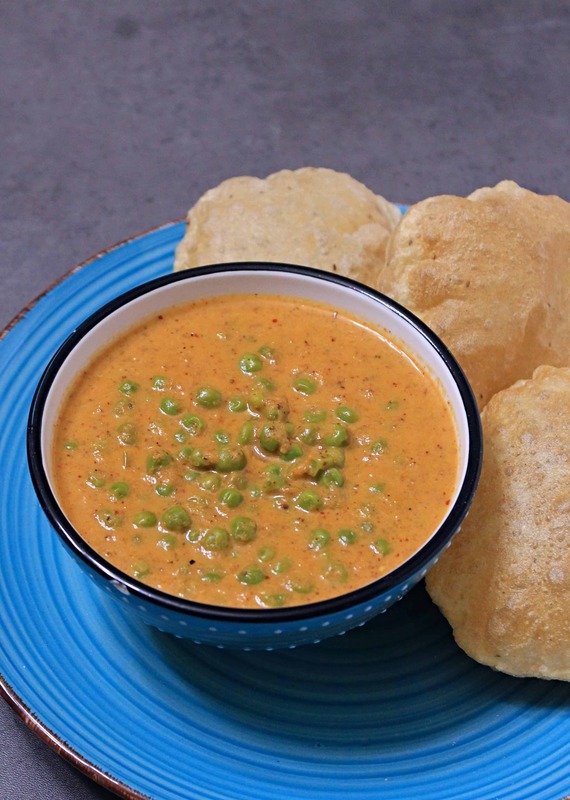 Next to aloo, this curry must be a perfect Treat poori. It Look so great. I love peas in gravy and won’t mind making this sometime, with the fresh peas on us this time round! Green peas curry taste awesome whichever way you make. 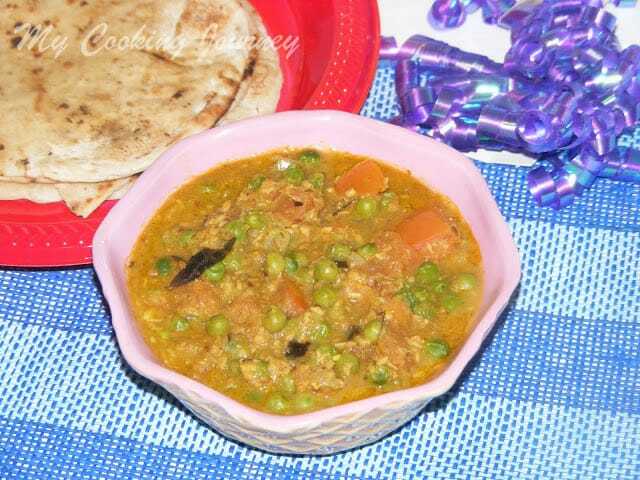 Just need some warm rotis with ghee and all set to enjoy this finger licking peas curry. simple curry looks delicious with green peas – lovely when you want a quick dinner!